What is the Root Chakra ? When I started the series on Chakra and Endocrine Glands, the first and very obvious question I get asked was What is the Root Chakra ? It’s very natural to get this question whenever somebody is introduced to Yoga, Reiki or similar healing energy techniques. Mooladhar Chakra is located at the base of the spine ( Coccyx), the first three vertebrae. It is our survival center, is responsible for the safety and security feeling on this earthly journey. The symbol is consist of four lotus petals, with a downward triangle in it. The four petals arranged from right to left color is deep red, yellow and golden. The downward triangle represents the center of our vital life force and is the seat where Kundalini stays coiled, dormant. Kundalini is a primal energy located at the base of the spine. In modern commentaries, kundalini has been called an unconscious, instinctive force.. The beej mantra is Lang. Beej means seed, like when a seed is sown, grows into a tree. The beej mantra is one-syllable seed. Each chakra has its own beej mantra and as you know the sound is vibration. Each of a chakra has its own specific vibration. when you recite this mantra, you tune yourself to these vibrations of the chakra. Recitation purifies the energy and balances the mind and body. Beej mantra when recited with proper guidance, persistence, dedication can grant specific result, such as health, wealth, knowledge, wisdom, protection. Beej mantra has its own vibration and power. Lang is the beej mantra of Mooladhar / Root chakra so reciting this mantra cleanse the impurities of the chakra, clearing any blocked energy. Recitation of Lang will be beneficial if you feel drained, struggle financially and with survival issues. 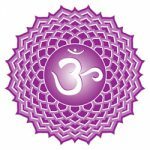 what happens when Mooladhar / Root Chakra dysfunction ? The first and foremost Physical symptom of dysfunctioning of Mooladhar chakra are lower back pain and Sciatica. Kidney problems, drug addiction , anemia, cancer, gynecological problems, problems with groin, hips, legs, knees, calves and feet can be seen as Mooladhar Chakra dysfunction. If the Moodladhar chakra is blocked, can cause reproductive problems, bladder irritation , a person gets disconnected easily from the physical world. With a underactive Mooladhar Chakra, a person suffers from depression, laziness, lack of self-esteem and ungrounded. On the other hand, if its is overactive, aggressive and addictive behavior is common. Restlessness and impatience also can be major symptoms. 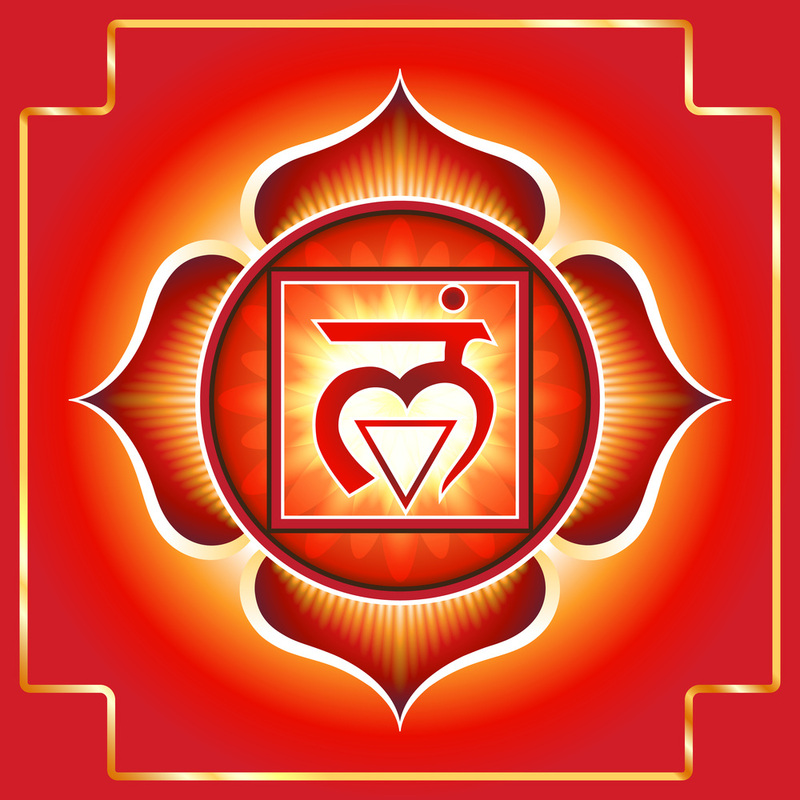 There are a number of methods and techniques to heal or balance the Mooladhar or Root chakra. Any one of this or combination can be of great help if done with persistence. Yog Sadhana : The yog sadhana is the holistic way to maintain your overall health, the importance of practicing Yog in a daily life can not be debated. The basic principle of yog based on Chakra system. Every Yog asana works on the overall healthy functioning of Chakras and thereby healthy human system. Every Yog asana is designed in a such a way that it contracts and expand the Chakra, which leads to proper energy flow in the said Chakra. For the proper functioning of Mooladhar Chakra, daily practice of Garudasan, Shashankasan, Siddhasan and the Moola bandha is necessary. Nose tip gazing or Nasagra Drishti is also beneficial. Sound Therapy : The Mooladhar chakra vibrates in harmony to C note / 256Hz. Color Therapy : The color of the Mooladhar Chakra is primarily red, so use redder in your day to day life, may it be your clothes, your stationery, your surrounding, anything you like to add to this list. Just try to use more red color. Try to visualize a red lotus flower at the base of your spine. Nourish the Mooladhar chakra : By eating proper food , you can really help your root chakra to be balanced. Try to eat Red color vegetables like beetroot,carrot, fruits like strawberries, cherry, Red apple,pomegranate etc. Crystal Therapy :Crystals like Red jasper, Bloodstone, Carnelian, Obsidian, Kyanite can be of great help. Along with the red color crystals, dark black color crystals are also very useful,as they have a strong grounding vibration. The best way to use crystals is to use it as jewelry or just keep it in a pouch in your pocket. Aromatherapy : Essential Oil can be used very effectively for a proper functioning of Chakras. Essential Oils carry frequency and healing properties of plants. Sandalwood, Ylang Ylang, Ginger, Carrot Seed, Juniper are few to name, can be used for root chakra. Precaution : Do not apply directly to skin; always dilute with a carrier oil.The best way to use essential oils in the bath is to mix them first with salts or an emulsifier such as milk or sesame oil. 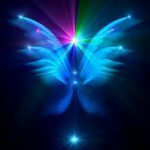 The main objective of Affirmation is to program your subconscious mind. Lastly, the element of Root Chakra is Earth, so getting out in nature, walk barefoot, sit in the garden and just try to absorb the energy and vibration of the mother earth. The healthy Mooladhar chakra leads to a very safe and stable life. So just go ahead and try these remedies for a healthy and vibrant Mooladhar / Root Chakra. Thanks a lot and I will be pleased if you comment on my blogs either way. dilemma and found most people will go along with with your website. Thanks for your comment, I will be happy if you visit my site more often, and give me valuable inputs.